was formally added to the platform of SPOTIFY. This is the latest big platform on which we have been working to get listed! 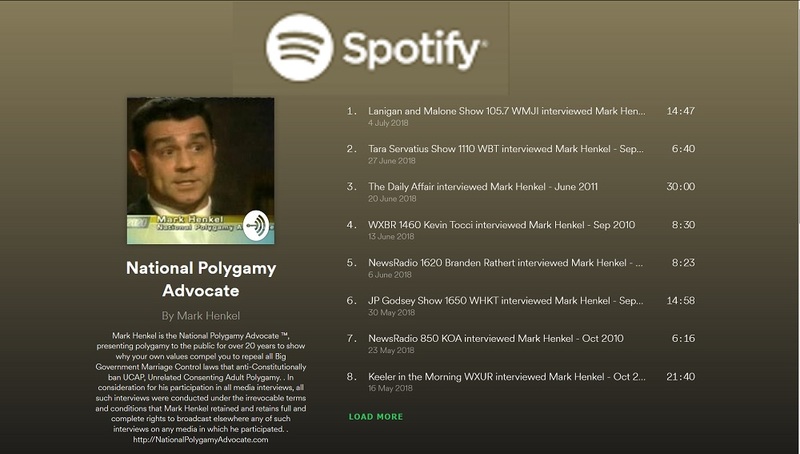 is now also available on SPOTIFY! 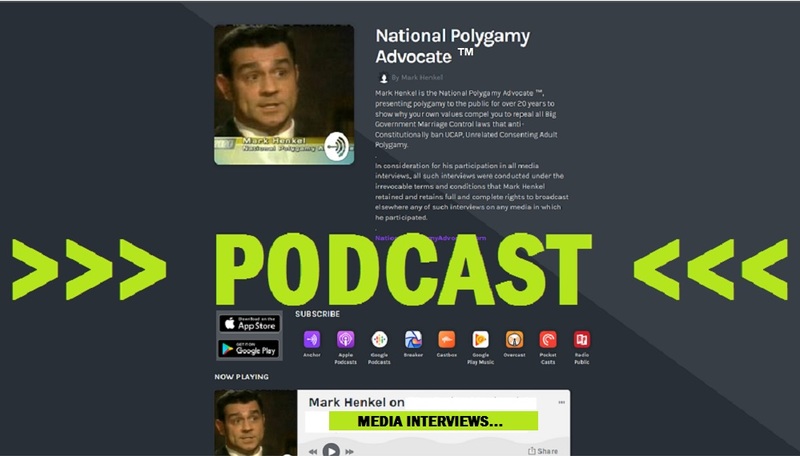 This podcast may be heard on Apple iTunes and Google Play. In preparation for this exciting new system, we have been posting each Wednesday since March 21, 2018. That means that tomorrow will be the 15th episode posted. 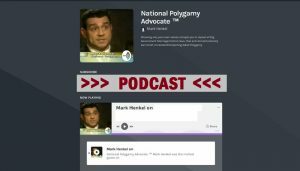 These postings have been of previous-recordings of past media interviews that I have given over the years. Before later getting into the time-consuming process of converting old audiocassette-taped recordings of interviews, we first wanted to test this system out using already-digitally-recorded interviews. 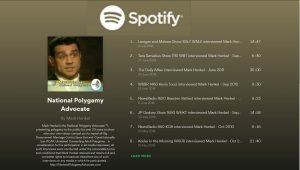 Be sure to find your platform of choice, SUBSCRIBE to this podcast, and pass it on. National Polygamy Advocate ™ PODCAST! I have been working on some exciting new developments. 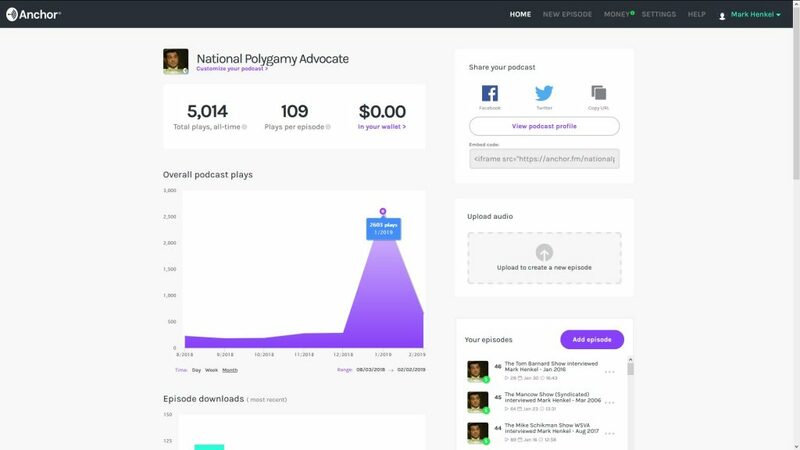 One of those is the development of a podcast. This is big deal because it solves a challenge that we have been facing. Here’s why. As most of you know, over these decades in the movement, I have been interviewed in multitudes of radio interviews. Alas, there has not yet been a usable system to competently (and affordably) bring such recordings to a digital audio audience. In the past, these recorded interviews were offered in audiocassette recordings. But as all of us so truly know, the times have clearly left such “dinosaur” technology behind. But now things could be changing. A new system has been discovered and is in the process of being tested. 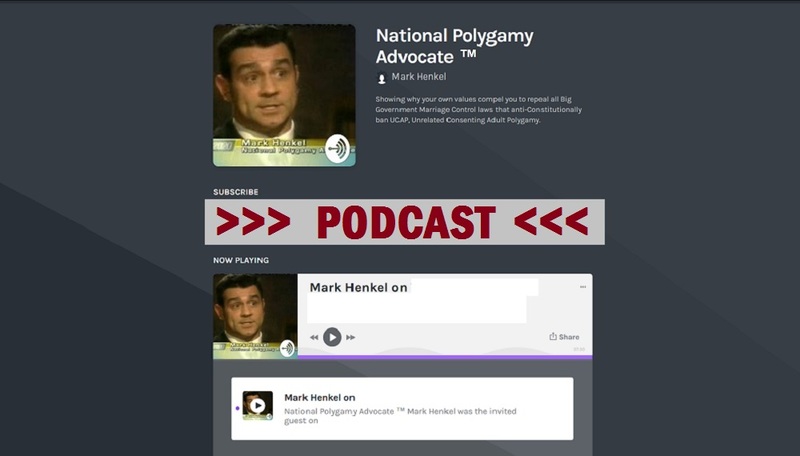 National Polygamy Advocate ™ Podcast.